Summer equals freedom. Relaxation. No homework. No nagging. A time to take a break from school and school related activities. And I'm going to add to the list, a great time to inspire reading. You might be thinking, “Are you crazy? Why would I ruin the next two months? Whenever I try to get my son to read, it’s nothing but hassle and frustration. If he wants to play video games, hang with his friends or chill by the pool all day, that’s fine by me." ”Yes, what you’re saying is true. But what if I tell you it all depends on your pitch and how you initiate reading with your son. In my book, Boys and Books, I share one of the secrets I discovered to engage self-proclaiming non-reading preteen and early teen boys so they will read. I also explain why summer reading loss is a real problem and how reading is the simple elixir to starting the new school year off on the right foot. There are six initiator personalities people typically bring to the table when attempting to persuade boys to read. The challenge, only one of the personalities is proven effective. To find out your “Initiator Personality,” take this quiz. Because summer releases parents and boys from the structure and boundaries of the school year, it’s much easier to break from your typical reading exchange with your son and try out something new. There are so many ways to go on a “Reading Road Trip.” One way is to pick an awesome destination for the day, like a cool hiking spot with an amazing place to eat and read during the hike or go to a lake/beach to play, swim and read. Or you can stay close to home, and go on a road trip to a coffee shop or a comic book store or to someone else’s house to read. Another is to choose a destination, like a city or museum, and learn together as much as you can about it prior to the trip. The options are endless once you start thinking about all the possible places to read outside of your home. Many boys love hammocks, tents and forts. They also enjoy climbing trees and lying on the grass. Creating opportunity to read this way is more appealing than making boys read in the house, especially during summer. Help them see cool places they can read and get away for a while. You don’t have to go camping to tell scary stories or be a whiz at storytelling. There are plenty of scary story books out there for your son to read and find his favorites to share. Make it a family event, or this is a great time to invite his friends over too. Set-up some kind of campfire (it can be at your house, a park, a beach), provide s’mores ingredients, and find sticks to use. Then let them spend the evening taking turns telling scary stories. Boys like to read with flashlights, and there’s nothing cooler than reading outside with a flashlight. It can be lying on the grass, in a cool chair or a hammock. The possibilities to inspire summer reading are endless. This list is just a beginning, and I hope it gets you excited to want to initiate reading with your son when the days are longer and more relaxed. Here’s to boys reading this summer! 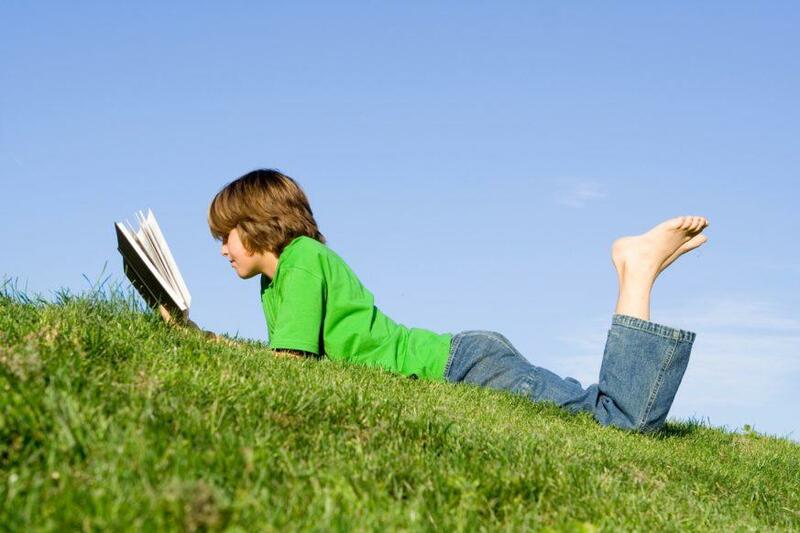 Your turn: What are some cool ways you found to inspire your son to read? 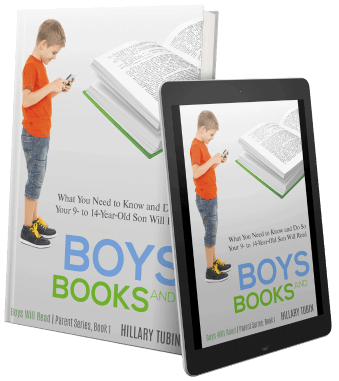 Hi, I’m Hillary Tubin, the straight-talking Boy-Responsive Literacy Consultant for parents ready for a different approach so that their 9-14-year-old sons WILL read books: no gimmicks, quick fixes or one size fits all. 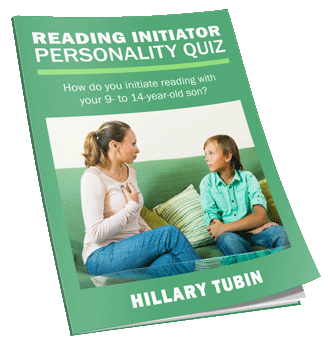 Download ﻿the﻿ Reading Initiator Personality Quiz instantly!